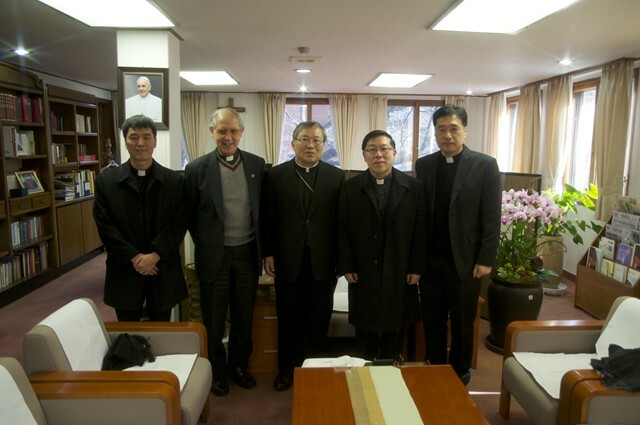 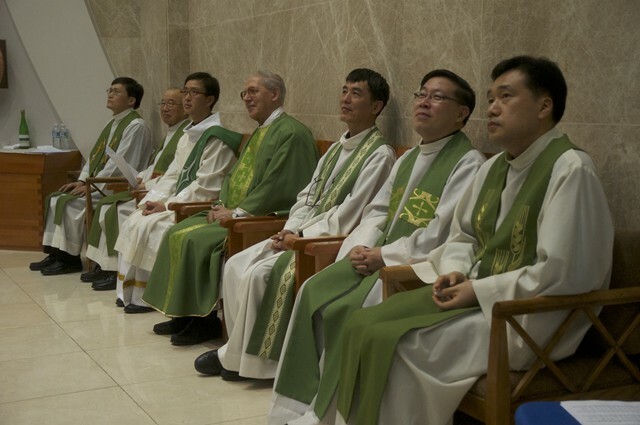 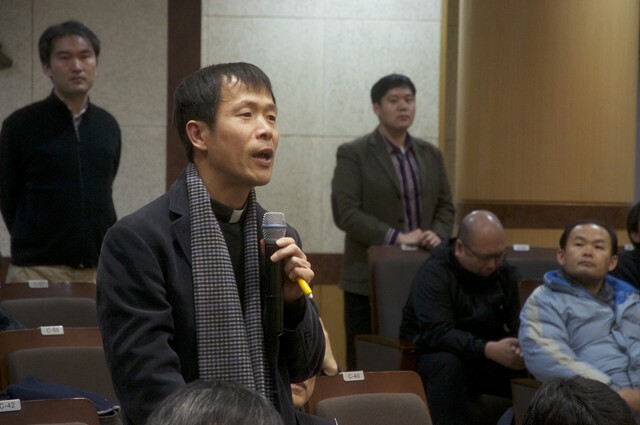 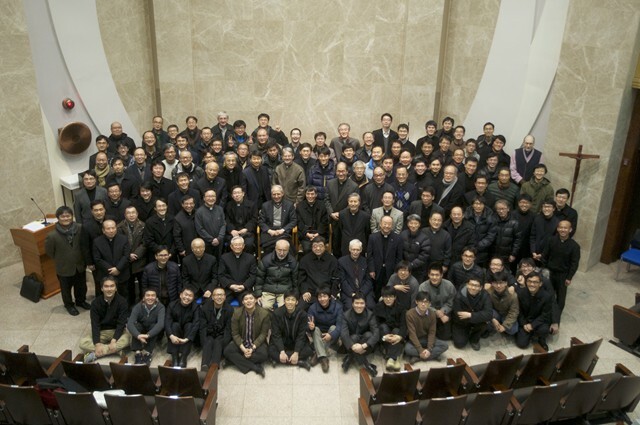 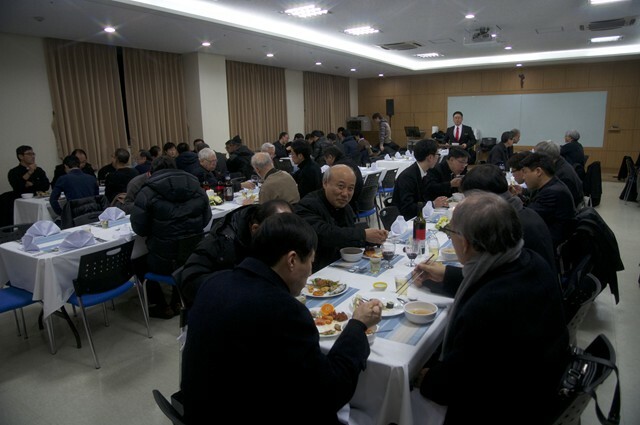 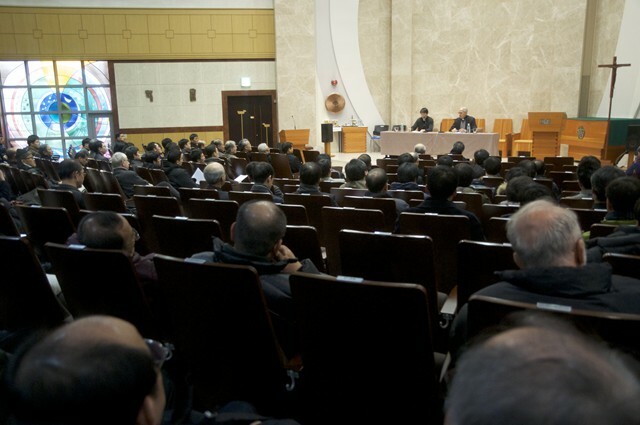 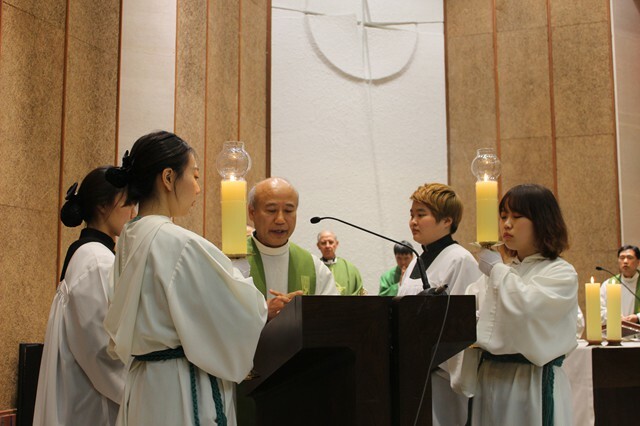 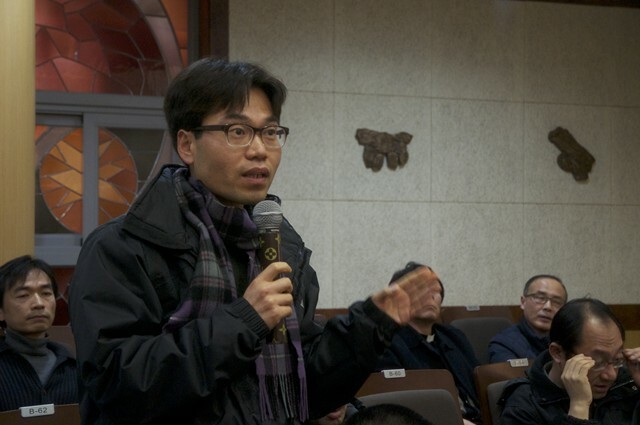 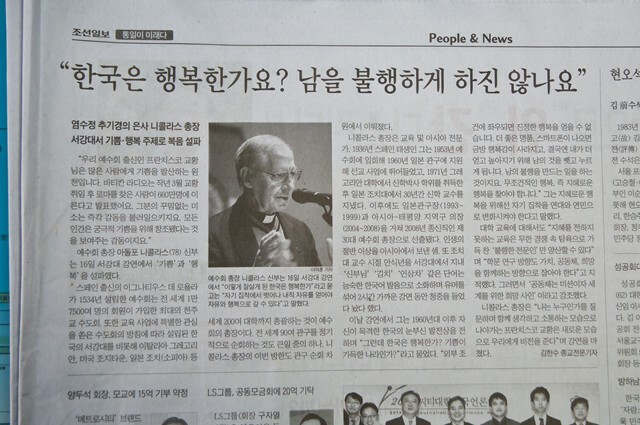 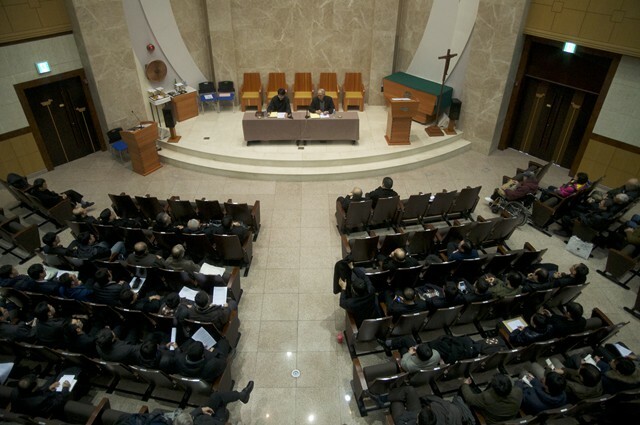 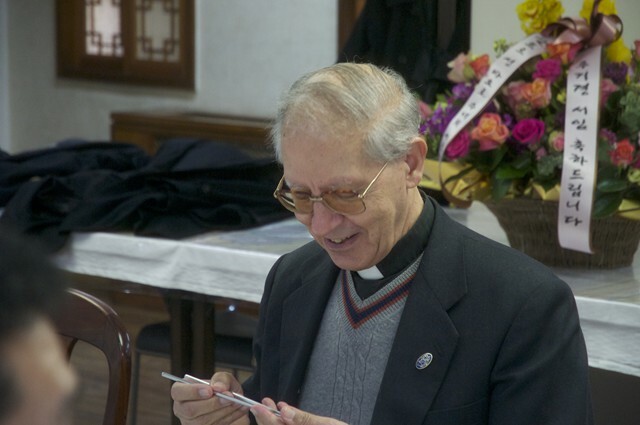 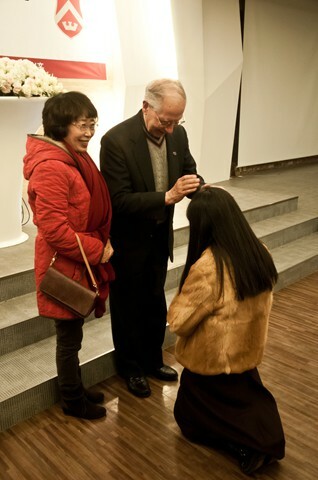 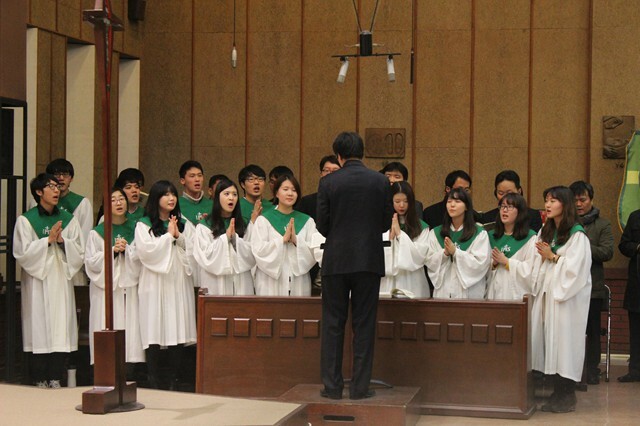 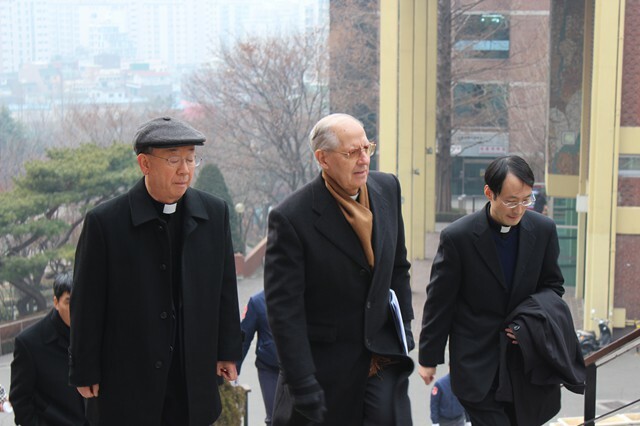 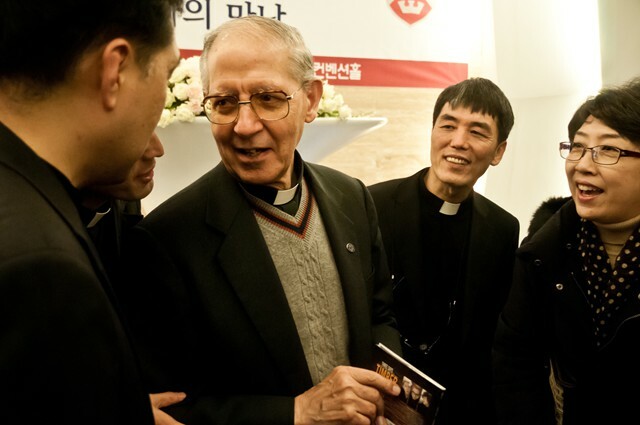 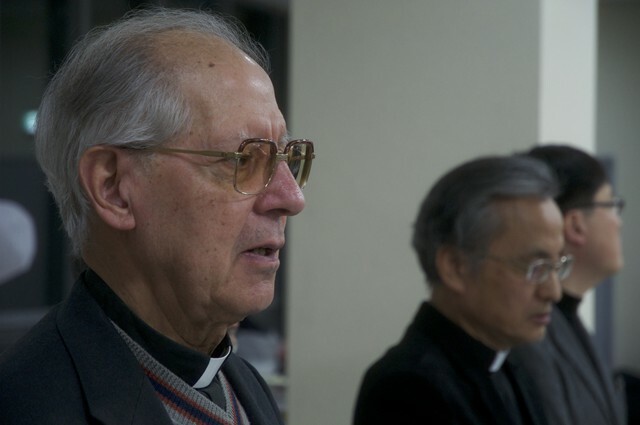 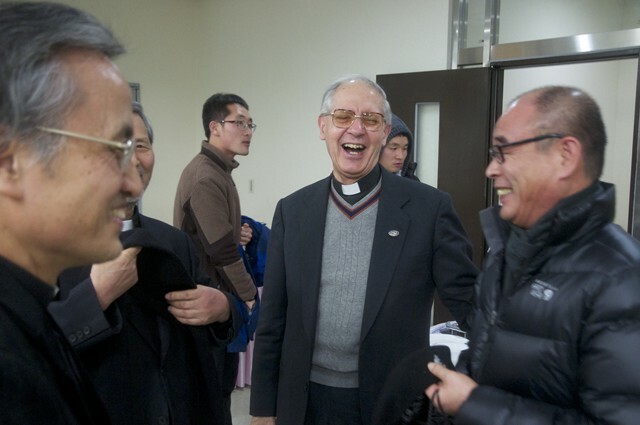 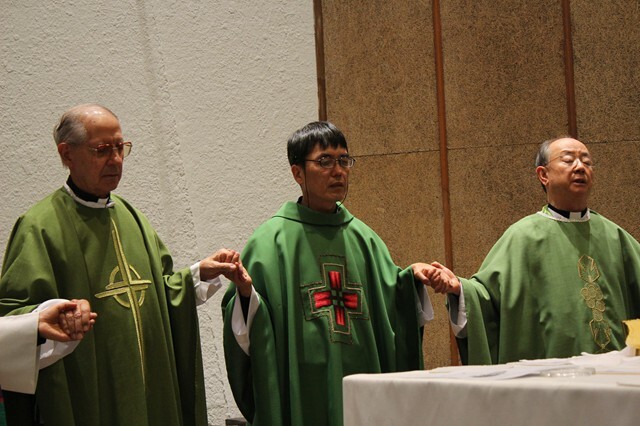 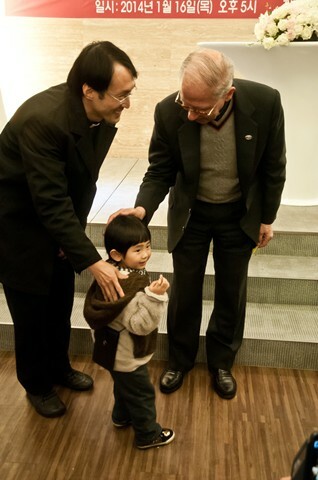 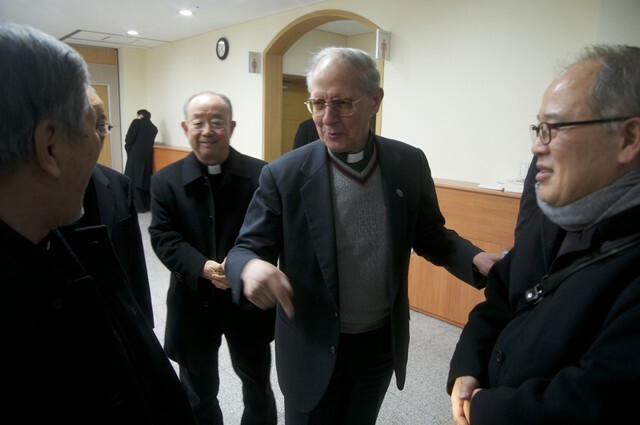 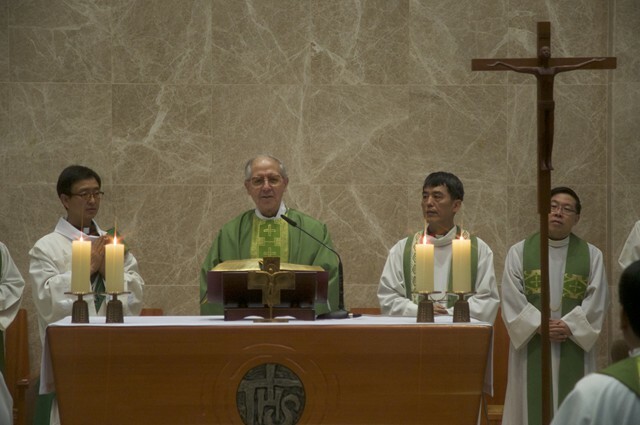 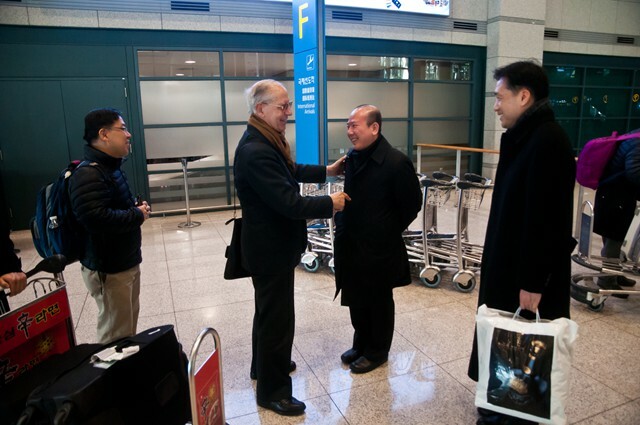 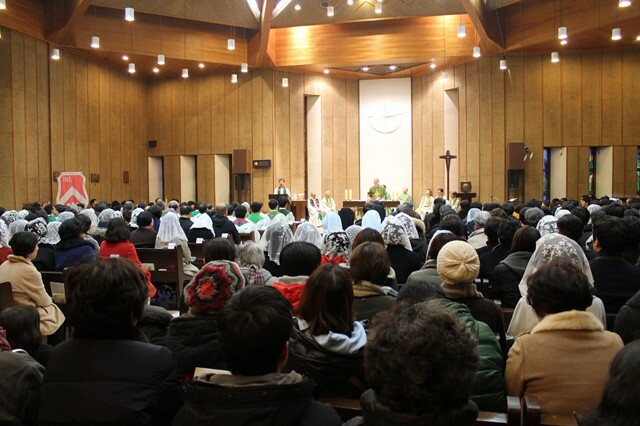 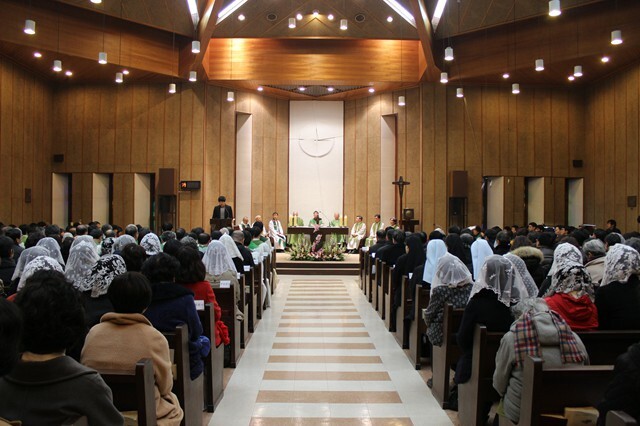 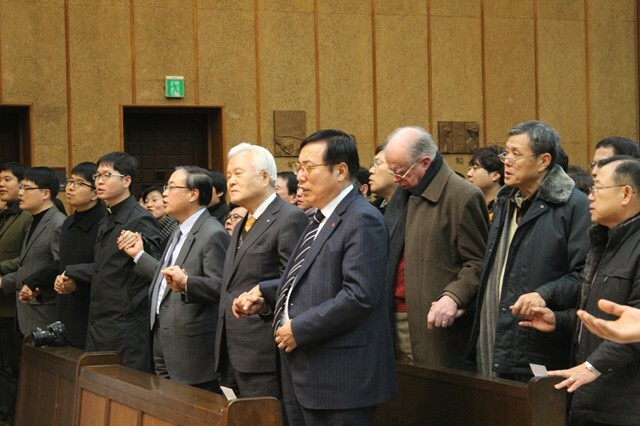 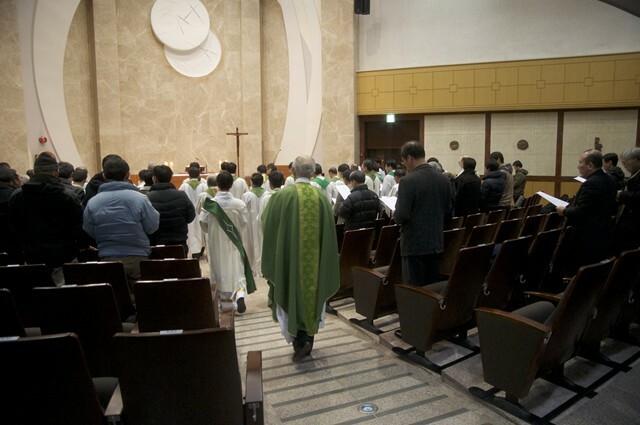 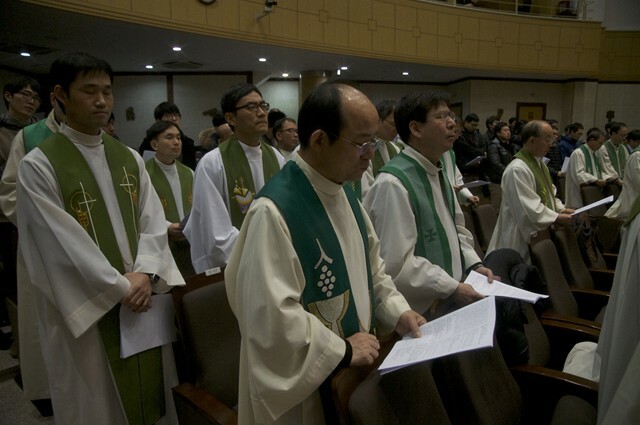 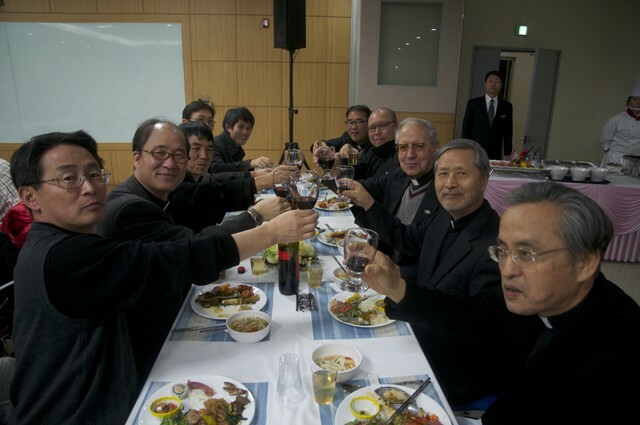 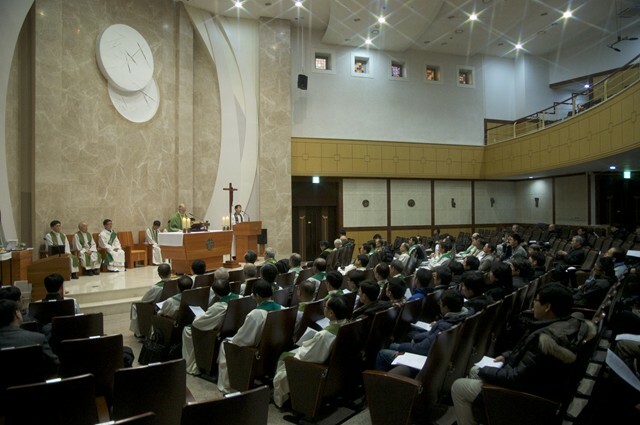 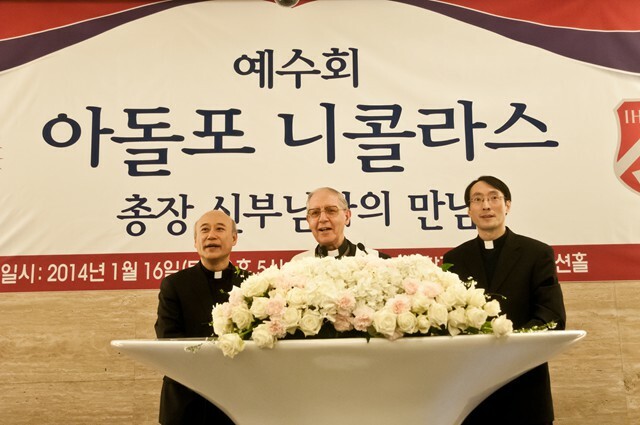 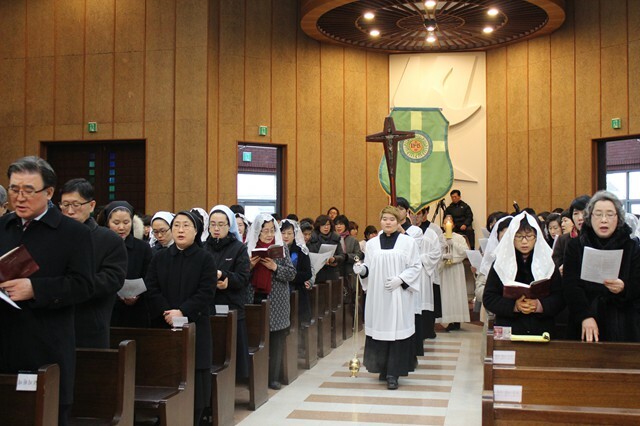 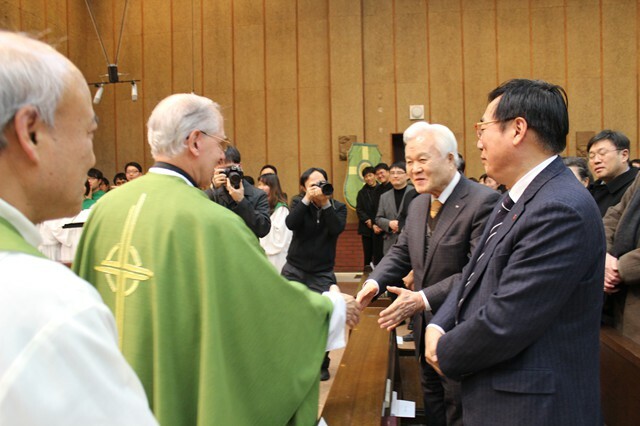 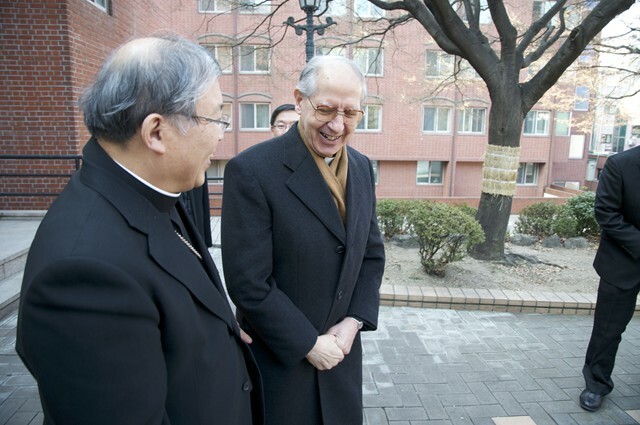 From 14 to 17 January, Father General has visited the Province of Korea. 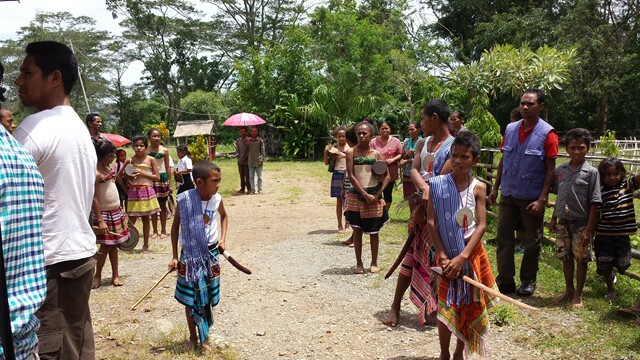 This is a young and growing Province of the Society: its 174 members have an average age of only 43.06. 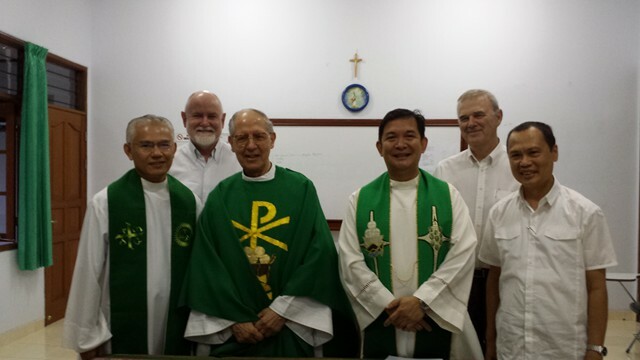 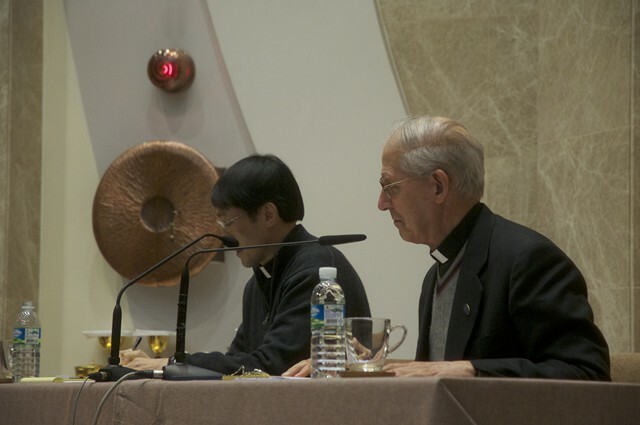 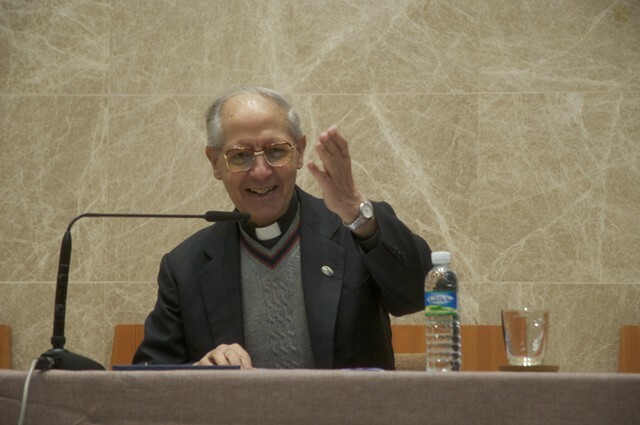 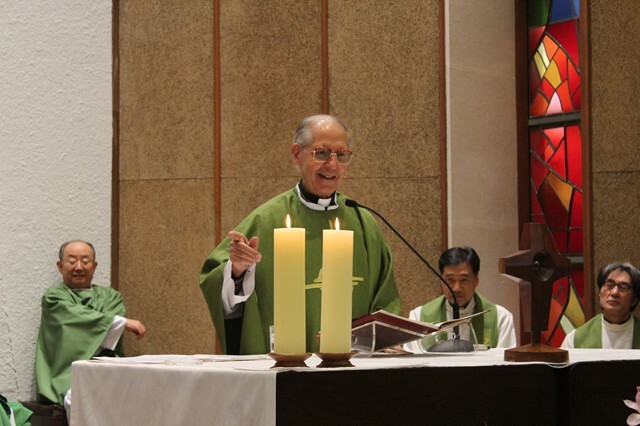 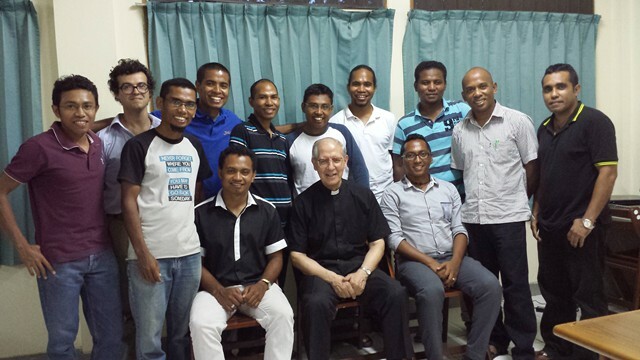 Father General met with the Jesuits of the Province. 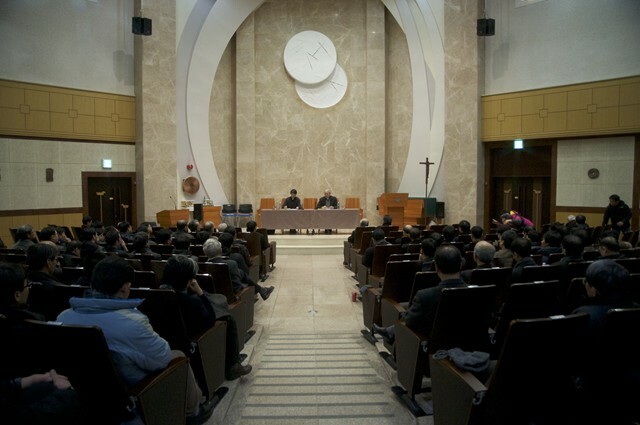 There was a separate session for formands. 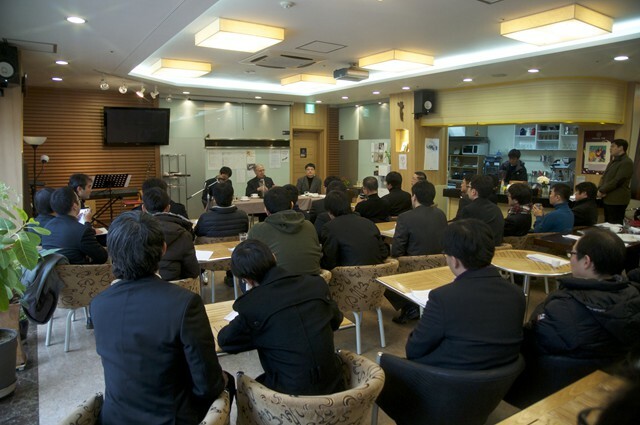 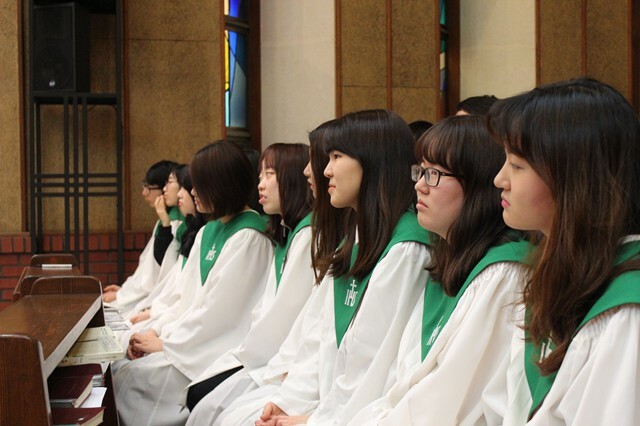 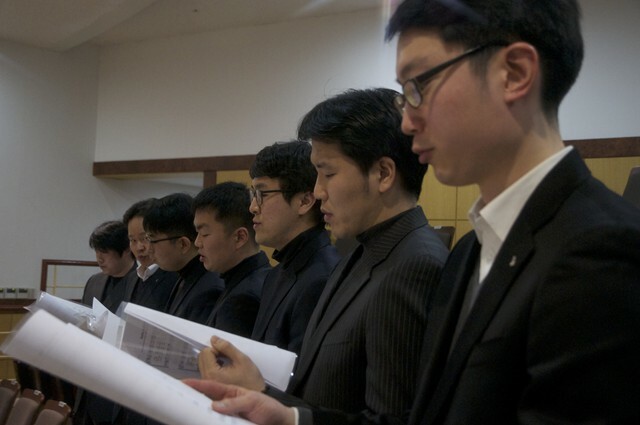 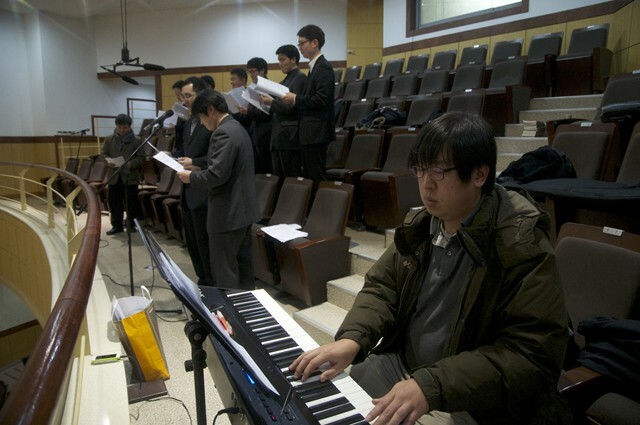 He has also addressed the Administrators, Faculty and Staff of Sogang University, the Society's University in Seoul. 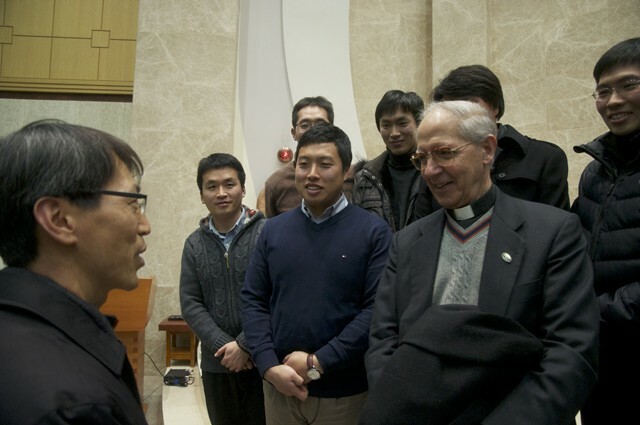 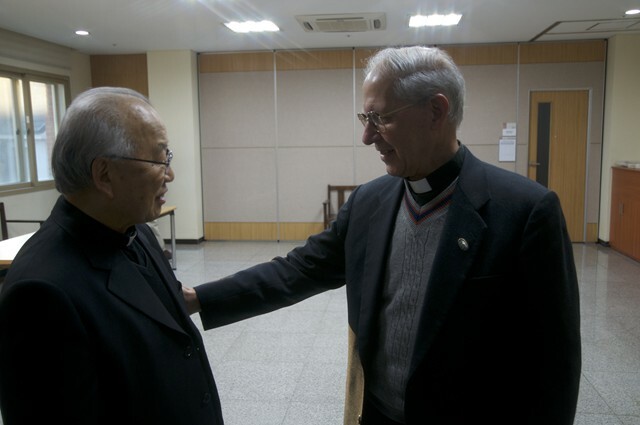 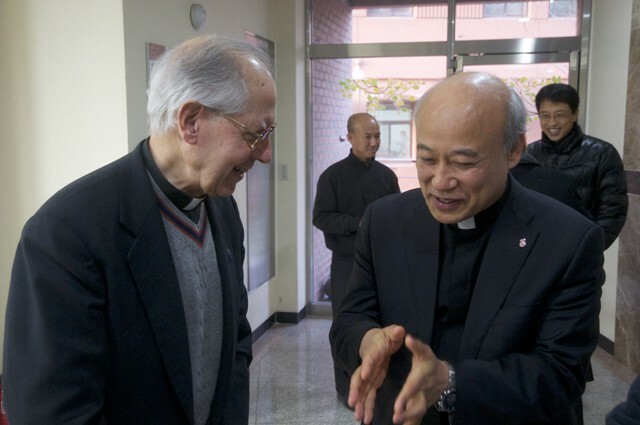 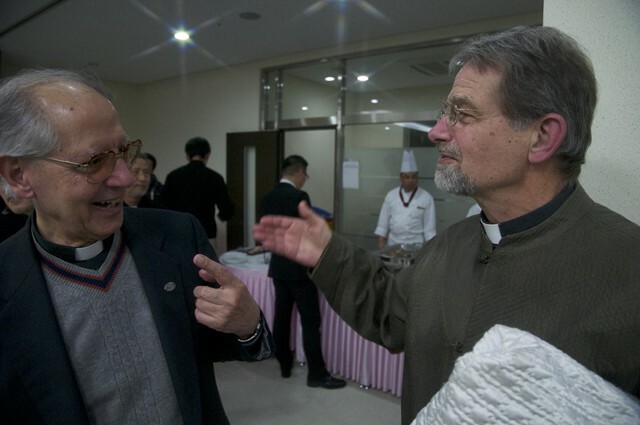 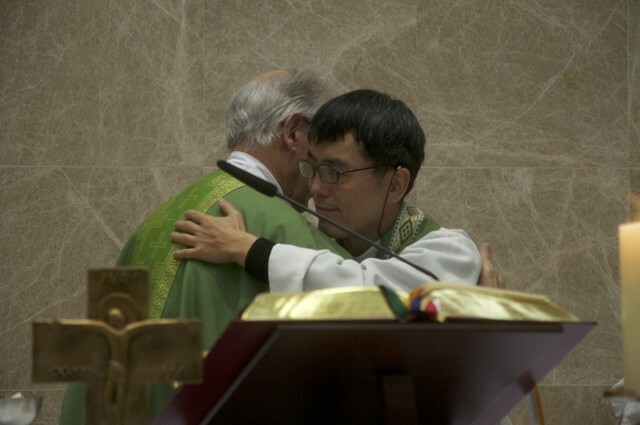 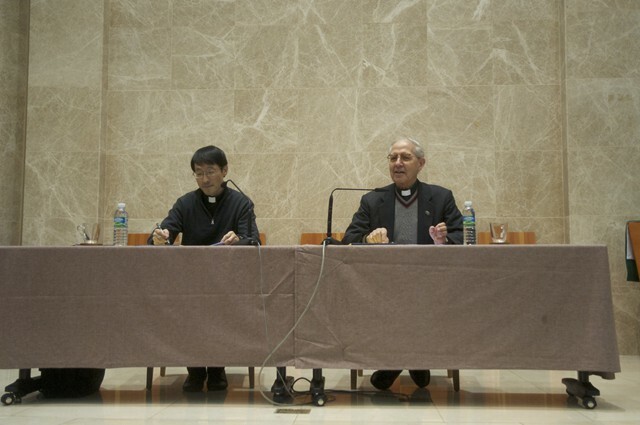 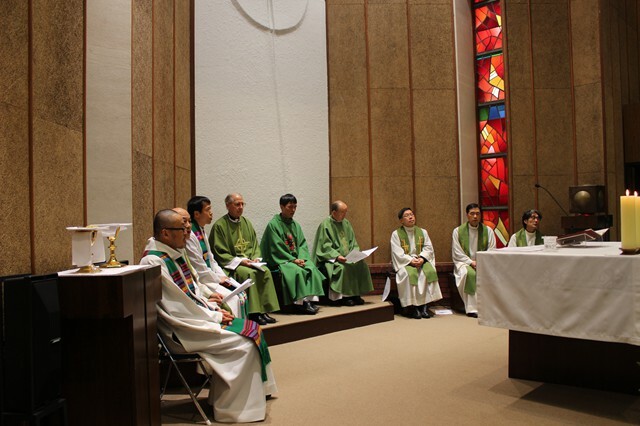 Father General had the opportunity to meet a number of Korean bishops, including the newly nominated Cardinal Archbishop of Seoul, Andrew Yeom. 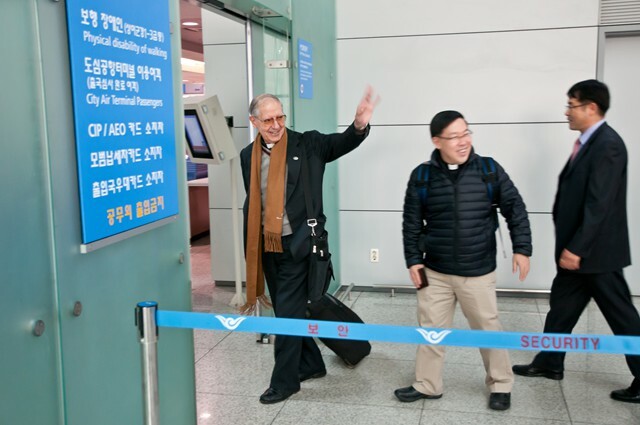 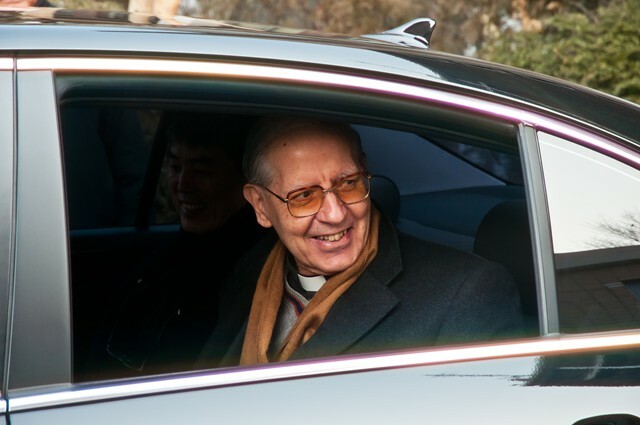 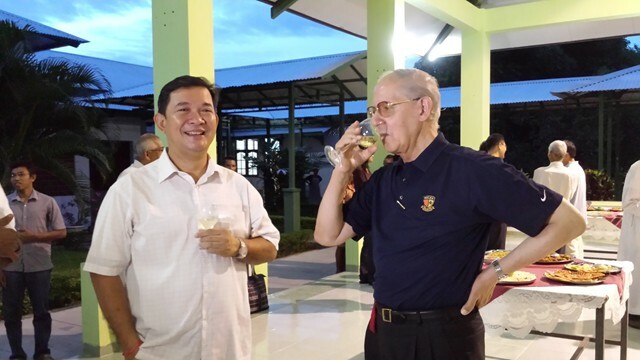 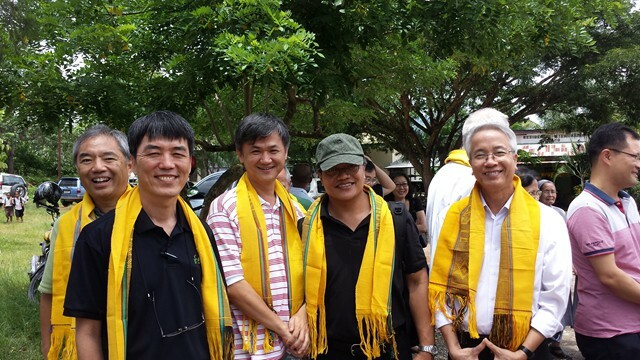 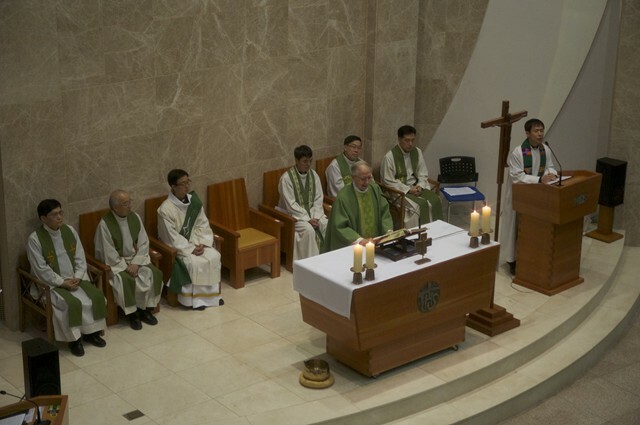 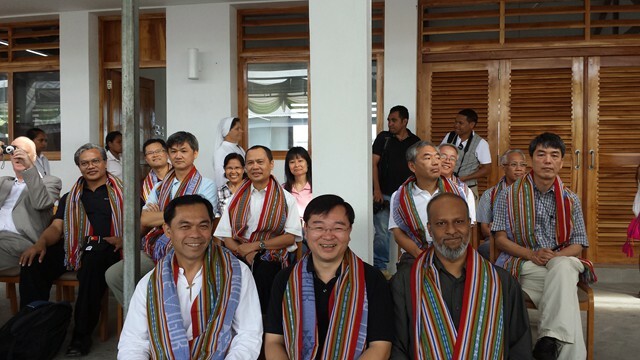 From Korea, Father General has travelled to Dili, East Timor, to attend the Assembly of Major Superiors of the Jesuit Conference of Asia Pacific. 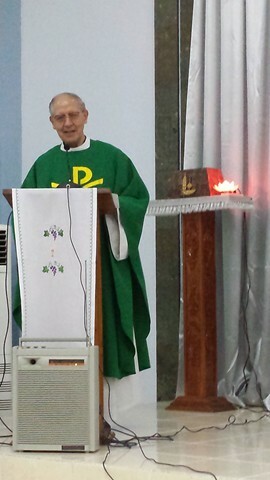 Father. 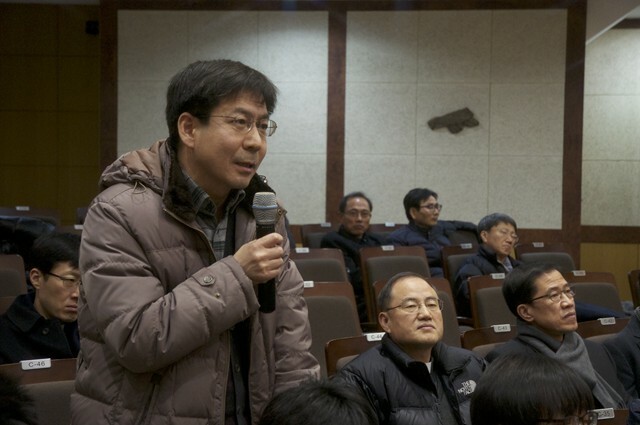 General used to be the President of the Conference. 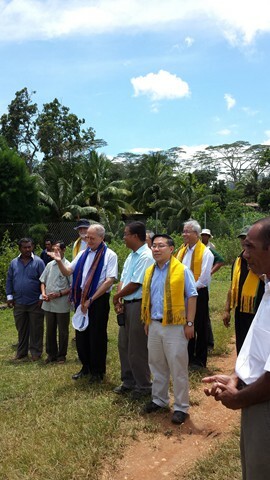 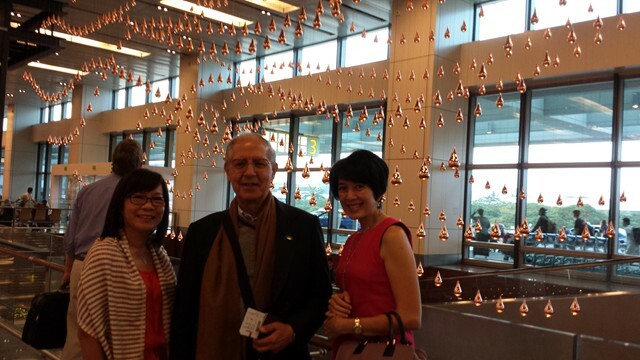 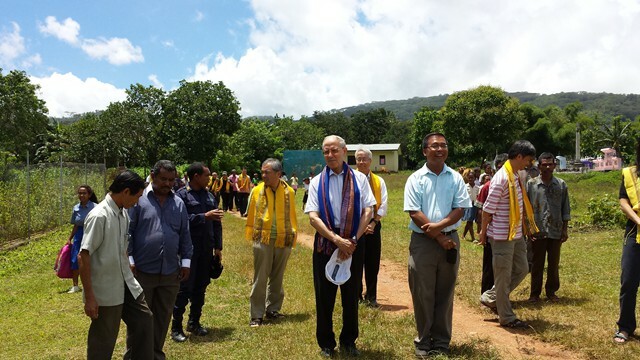 He also visited the Independent Region of East Timor, of which he was formerly the Major Superior. 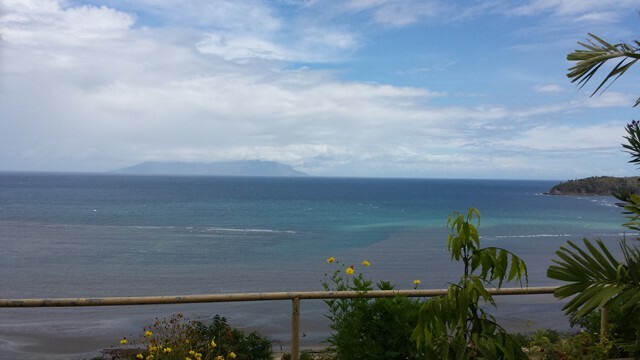 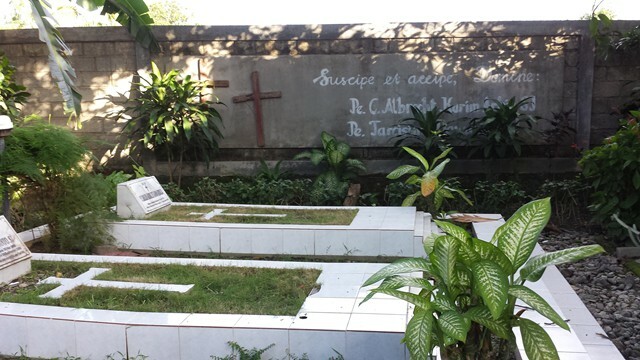 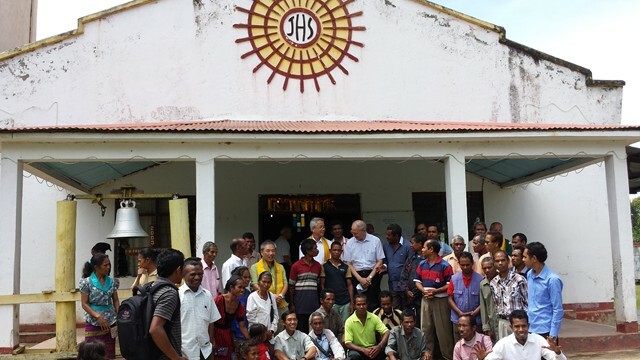 The Region of East Timor has 52 Jesuits, with an average age of 27.06. 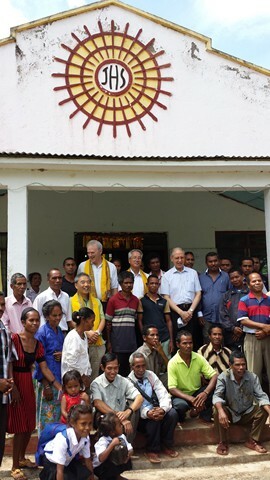 Most of these are still in formation outside Timor. 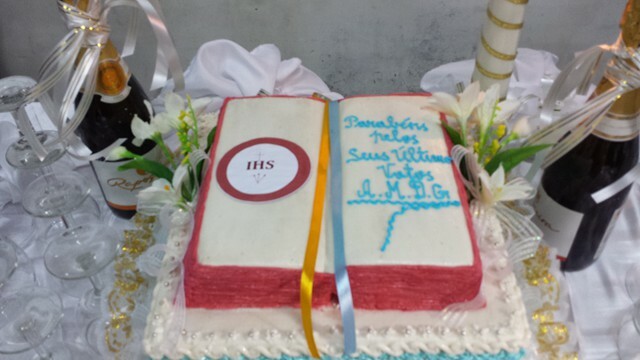 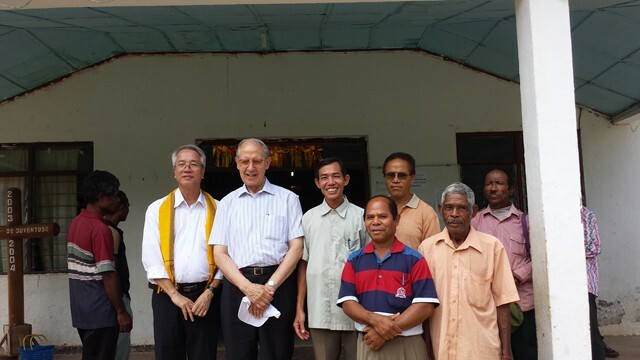 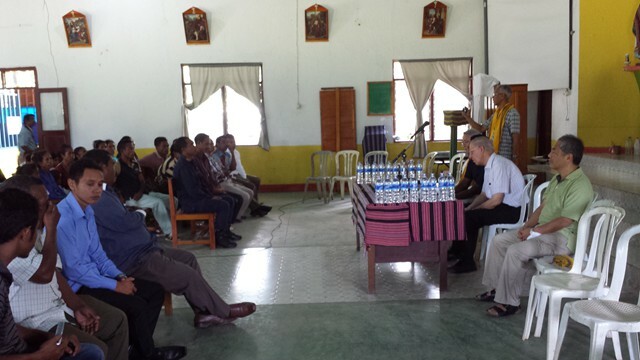 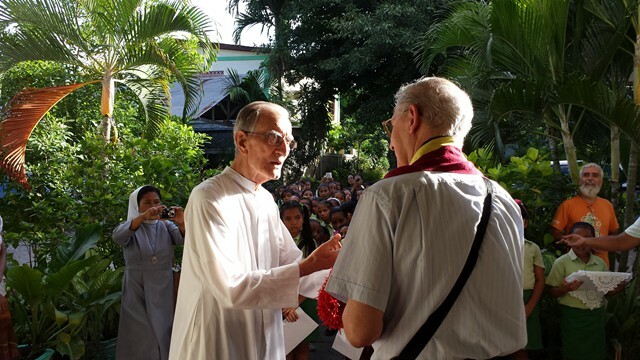 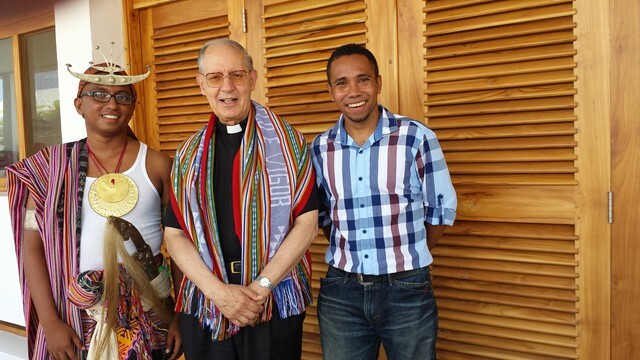 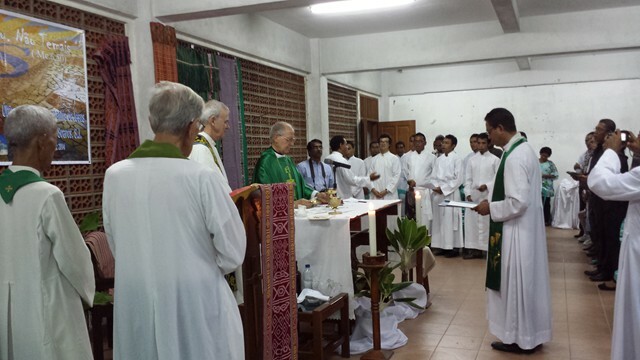 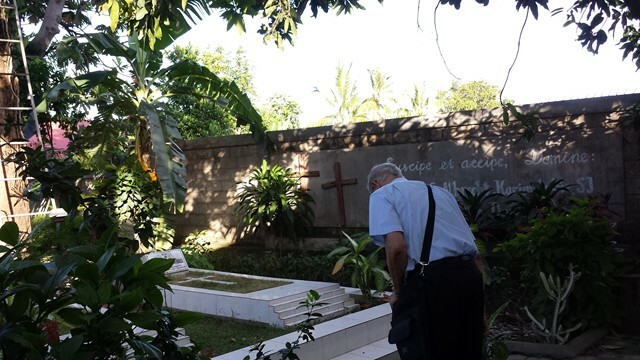 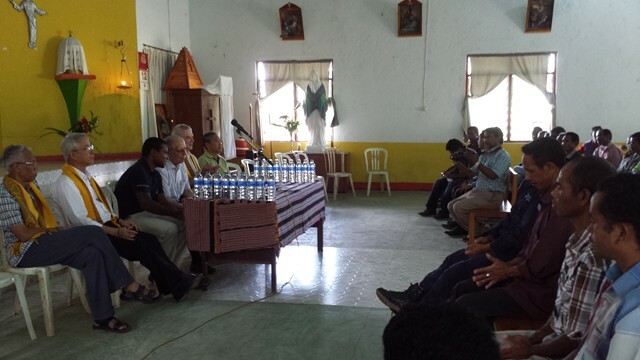 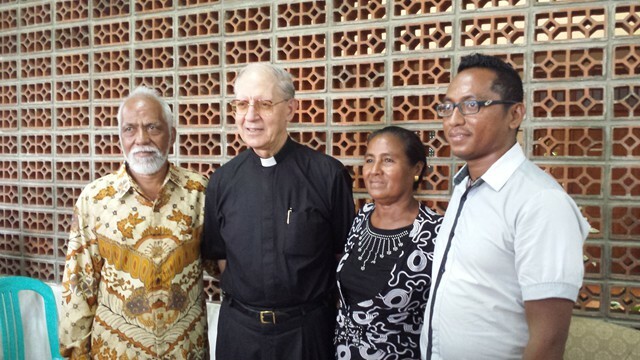 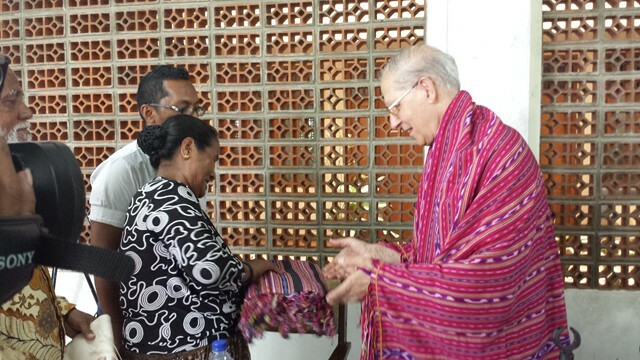 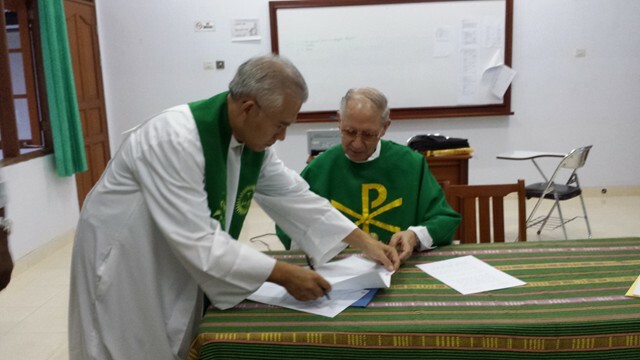 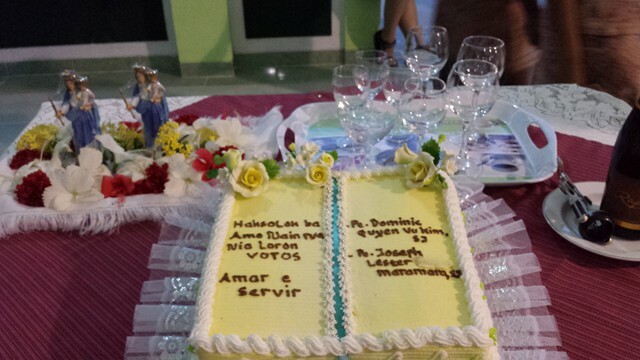 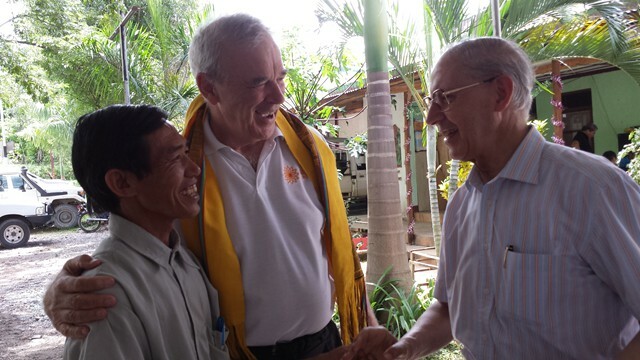 Father General met with the Jesuits in East Timor, and received the final vows of several members of the Region. 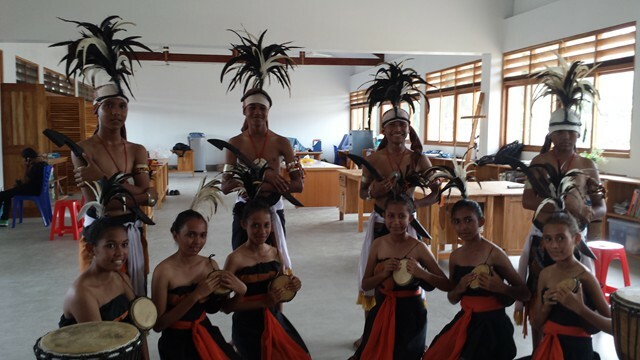 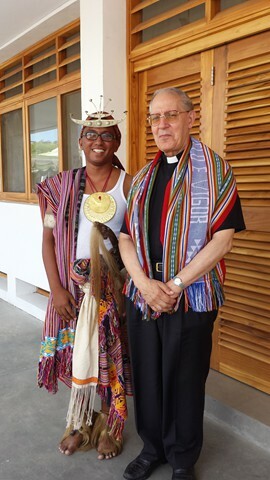 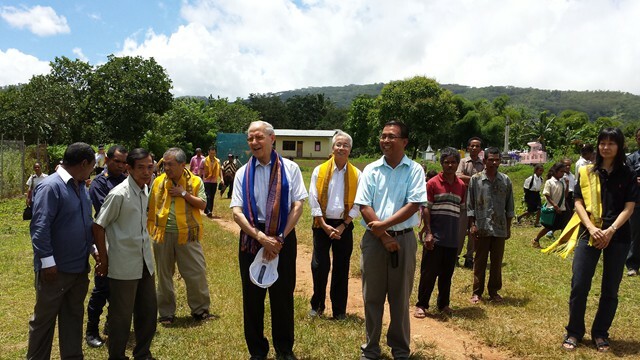 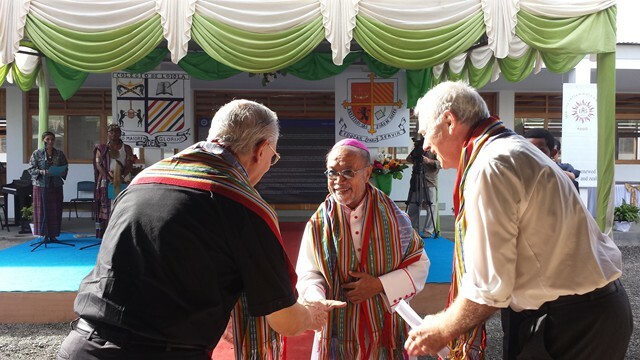 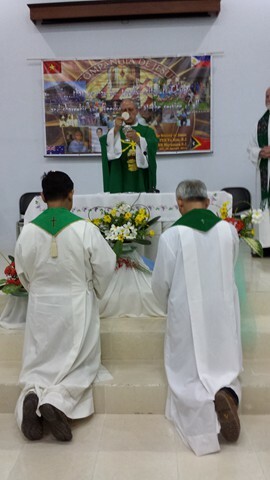 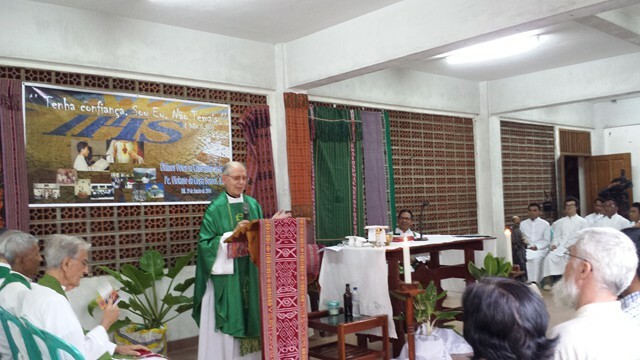 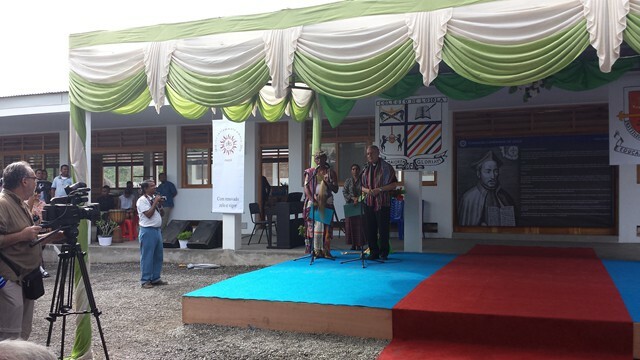 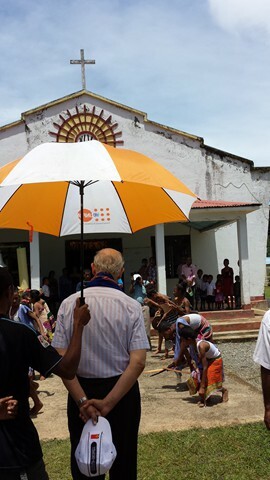 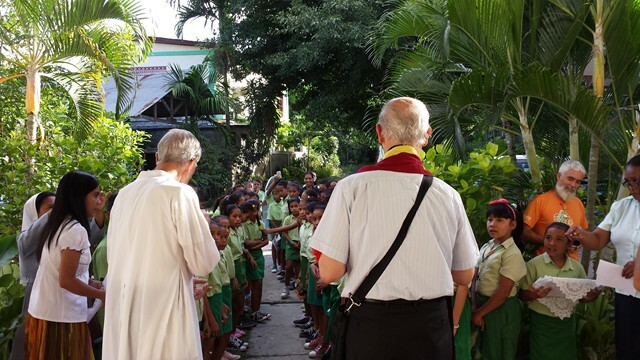 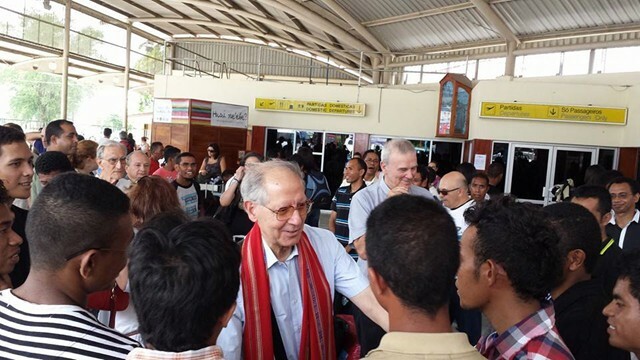 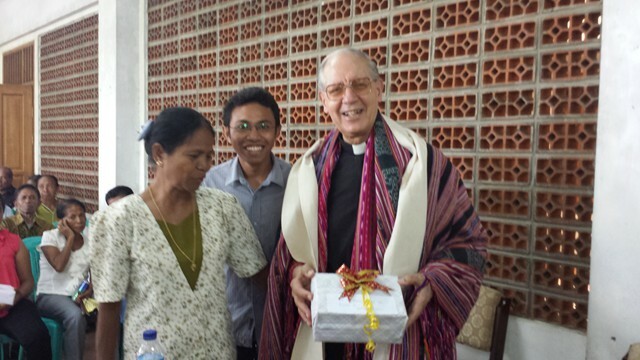 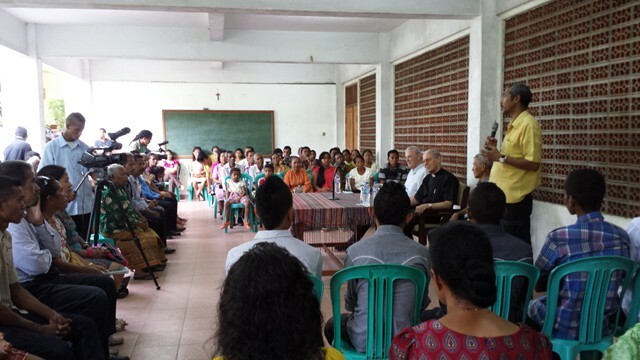 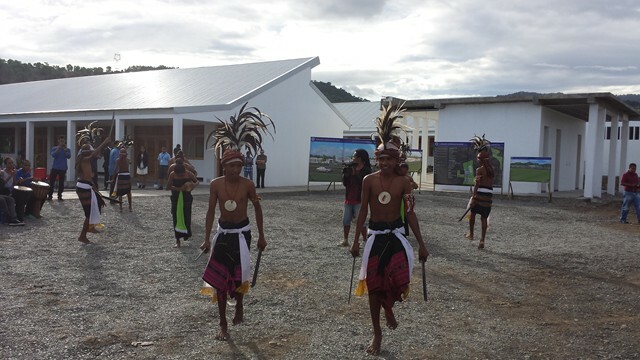 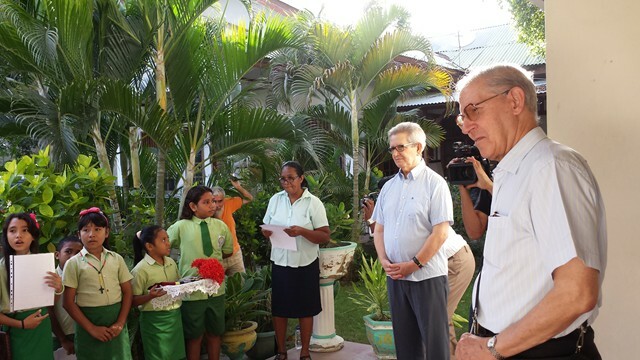 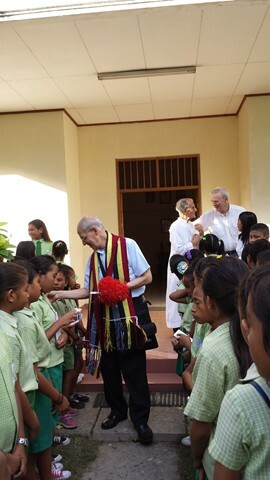 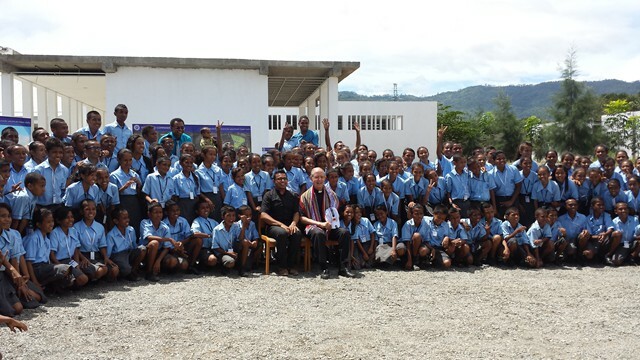 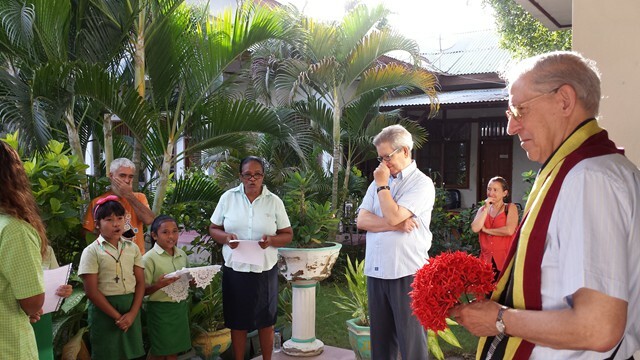 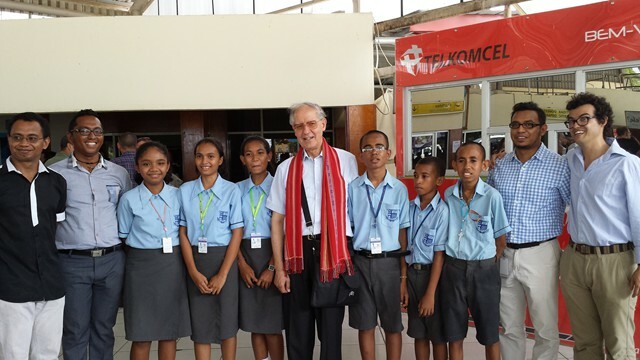 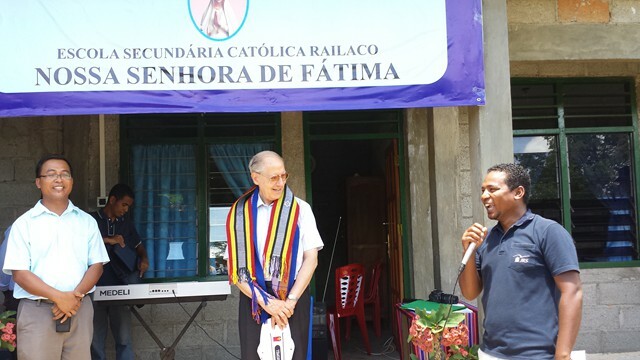 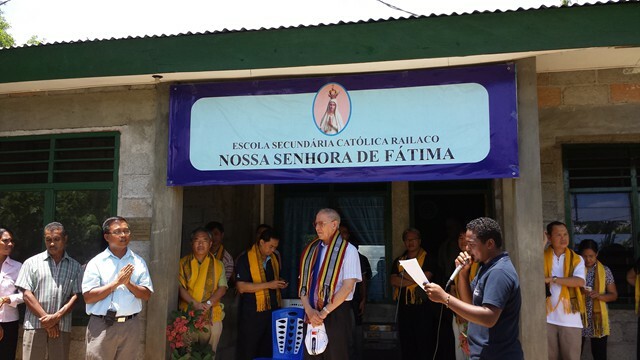 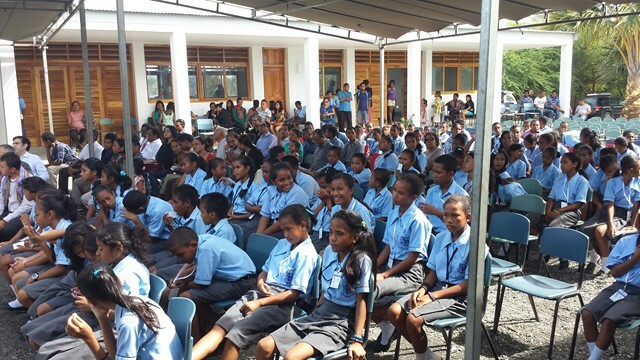 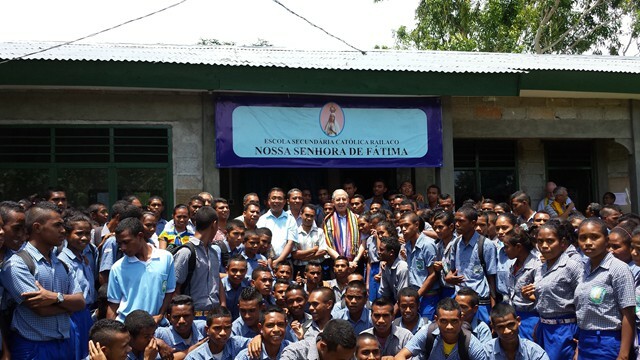 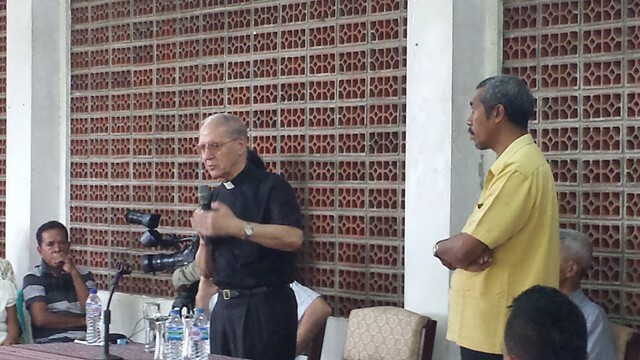 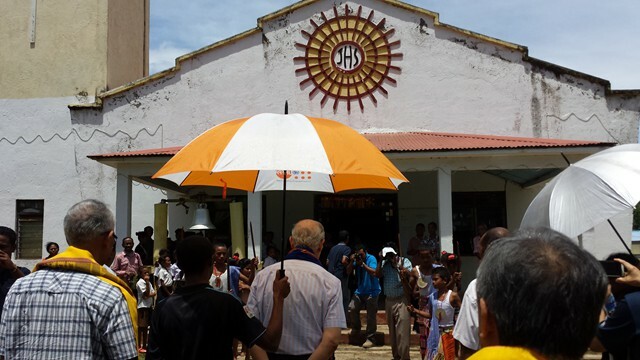 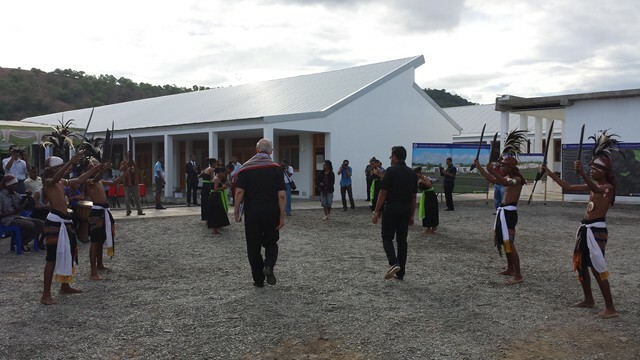 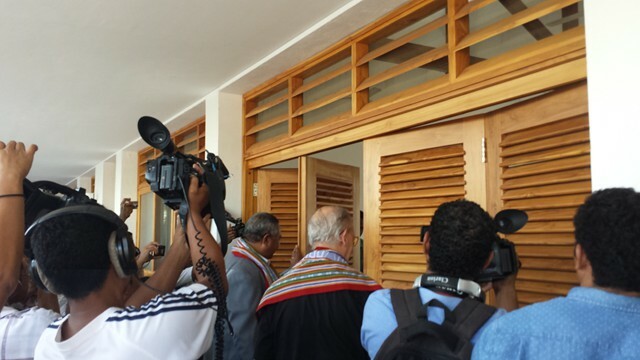 On the last day of his visit, 25 January 2014, Father General was the guest of honor at the inauguration of the Jesuit Education Project of East Timor. 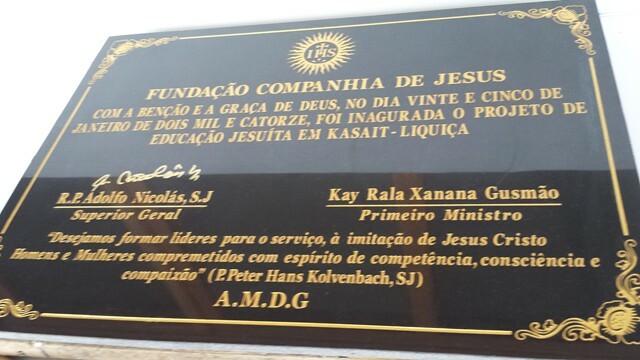 This is a new high school and teacher training college. 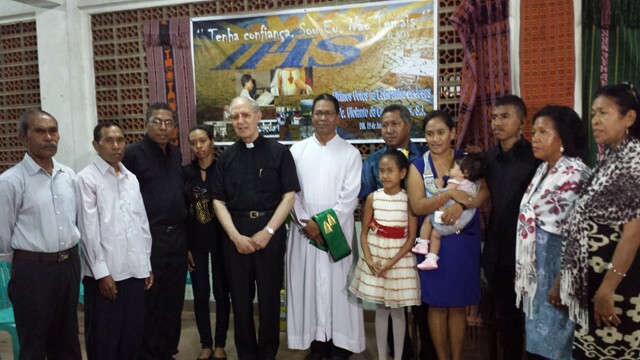 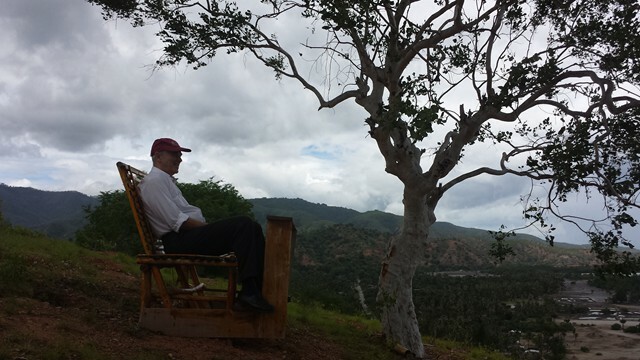 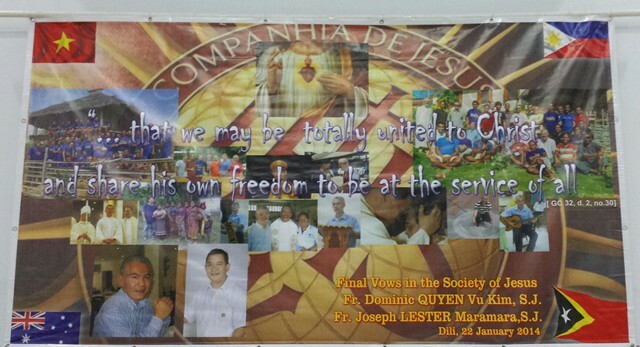 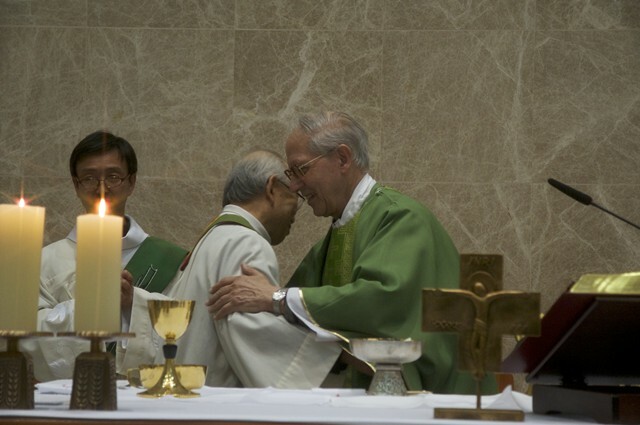 Planning for this was already under way when Fr Nicolas was the Major Superior of East Timor.